Shopping for a mid size SUV can be a wonderful and horrible adventure. You can stop at nearly every dealership in town and find one, two or even three different offerings, with a multitude of engine choices, seating configurations and drivetrains. While choice is always good, sometimes too many decisions can be overwhelming. A midsize SUV option that sometimes gets missed in this crowded segment is the 2014 Kia Sorento. 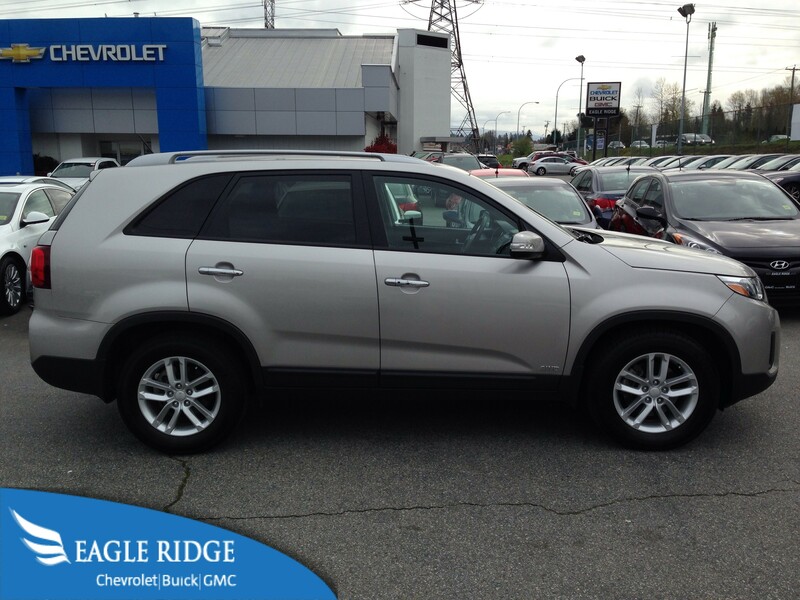 Eagle Ridge GM currently has a handful of these capable and efficient SUV’s and they are proving to be very popular. With low kilometers, a ton of features and an even lower price, they come packed with value. 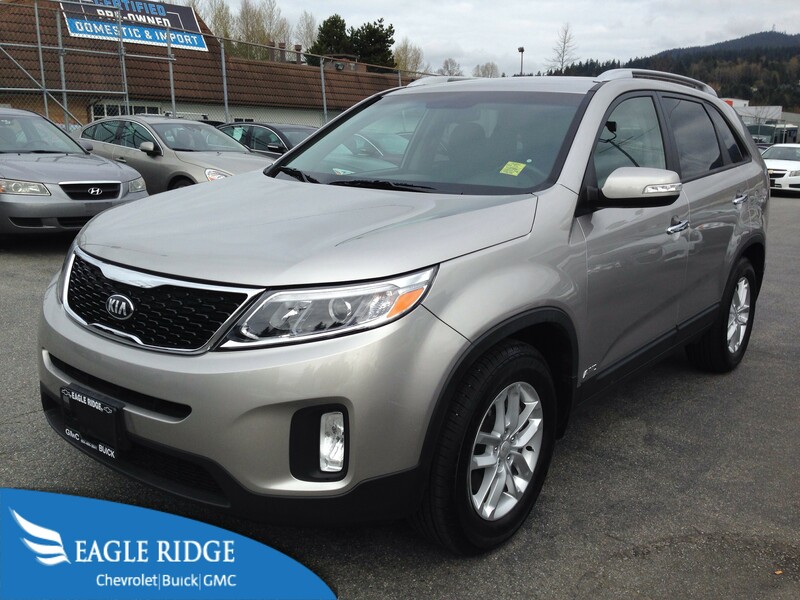 The 2014 Kia Sorento is powered by a 3.3L V6 engine with All Wheel Drive. With versatile five passenger seating, you will have room for the whole family. The second row seats on the Sorento easily fold in a 60/40 split to accommodate more cargo if necessary. 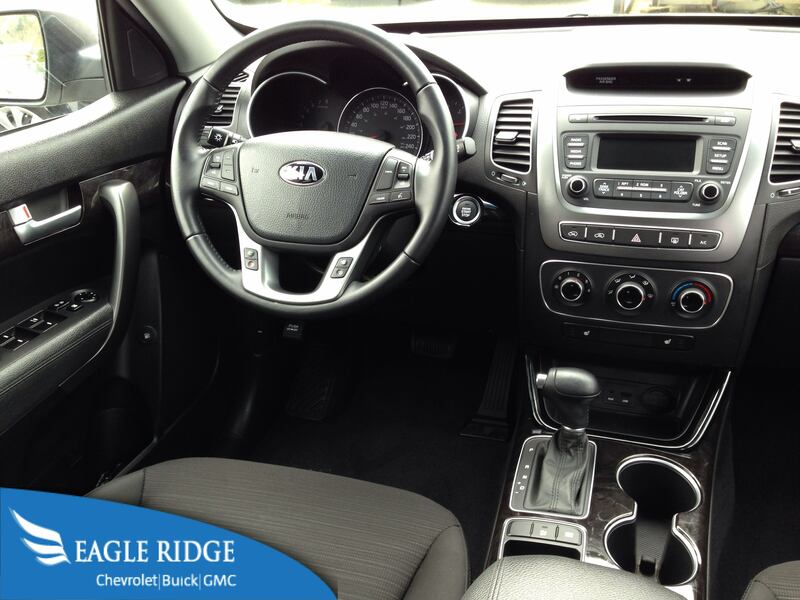 What really sets the Sorento apart are the features that you will get. Normally to add this many options to a V6 powered SUV, you would be pushing $40,000! For almost half of that you will get push button ignition, Bluetooth, steering wheel audio and cruise controls, heated front seats, alloy rims, air conditioning, power windows, locks and mirrors, rear seat window shades, tinted rear windows, rear parking sensors, fog lights, a power driver’s seat, leather wrapped steering wheel and more! That is mighty impressive. Another incentive for these Sorentos is the fact that are 2014 models with factory warranty remaining, very low kilometers and are essentially new vehicles at a pre owned price!